The tape is constructed with polypropylene film and coated with water-based acrylic adhesive. It's designed to protect the shipping labels and other printed surface from weather and handling. 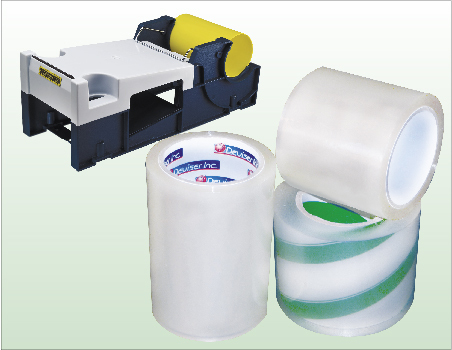 Transparent Tape comes in 3 sizes - 1/2", 3/4" and 1"
Total Thickness : 1.7 Mil. 2.0 Mil.